A few lucky customers who pre-ordered Apple’s iPhone 4S in Germany got their delivery today — three full days early. And according to benchmarks that are beginning to pop up online, the phone looks to be wicked fast. 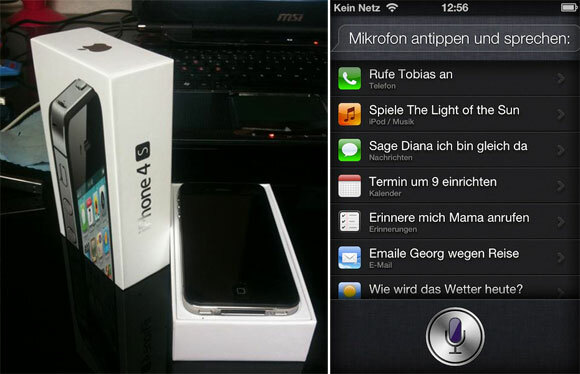 Readers sent in images of the new Apple device, its packaging and screenshots of Siri to German blog Macerkopf.de. Legitimate-looking benchmarks have also started appearing online, with the 4S clocking in at 68 percent faster than its predecessor, the iPhone 4. Tests also confirmed that the iPhone 4S’ graphics processor is 7x faster than the 4’s. The new iPhone scored a 677 on Geekbench’s benchmarking test, almost double the 370 that the iPhone 4 scored, and not too far under the iPad 2’s score of 751. The iPhone 4S and iPad 2 share the same A5 dual-core chip, but the 4S’ likely runs at 800 MHz, as opposed to the iPad 2’s 1 GHz processor speed. The iPhone 4S has already hit record pre-order numbers of over one million units. 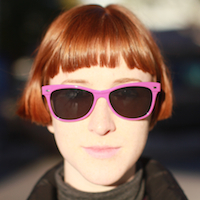 Its specs are comparable to those of other major smartphones on the market, like the Samsung Galaxy S II, such as a dual-core processor, 8-megapixel camera and a pixel-packed display (Retina Display in this case, like the iPhone 4). The handset, which was unveiled at a media event last week, will be available on the three largest US carriers — AT&T, Verizon and Sprint. The 4S will run on AT&T’s HSPA+ network and also comes with GSM and CDMA antennas, making it a world phone. The iPhone 4S will hit stores on Friday, October 14. Pre-orders will also be delivered that day. It’s priced at $200, $300 and $400 on contract for 16-, 32- and 64-GB models. Pre-orders began last Friday, so if you missed out, you’re going to have to spend your morning waiting in line at your favorite Apple retailer this Friday. But don’t worry, that just means you have the opportunity to make some new iPhone-loving friends.